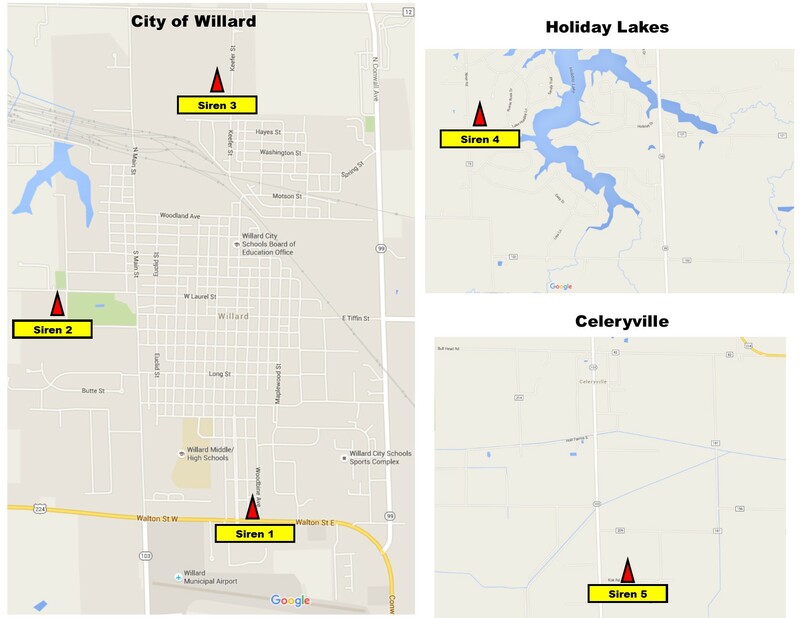 The City of Willard operates five outdoor warning sirens that sound during severe weather events that may include large hailstorms, heavy winds and tornado warnings. Though the sirens are placed strategically throughout the city, they are designed to warn people who are outdoors. People who are inside may not hear them, as air conditioning, thunder, wind, rain and other conditions can drown out the sound. The City of Willard highly recommends each home and business have other means to receive warnings and notifications, including internet, radio, television or a NOAA weather radio. ​Huron County provides a free notification system called Everbridge. See below for more information. Everbridge is Huron County's Emergency Notification System. Get alerted about emergencies and other important community news by signing up for our Emergency Alert Program. This emergency notification system enables your emergency service providers to supply you with critical information quickly in a variety of situations, such as severe weather, unexpected road closures, missing persons, and evacuation of buildings or neighborhoods. You will receive time-sensitive messages for locations you specify, to devices you specify, such as your home, cell, or business phone, email, text messages, hearing impaired receiving devices, and more. You pick where, you pick how. Sign-up by clicking here. Individuals who need assistance can register by calling the Huron County Emergency Management Agency at (419) 663-5772. 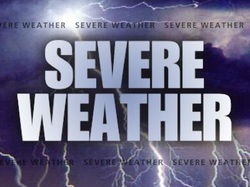 The City of Willard highly recommends each home and business have other means to receive warnings and notifications, including internet, radio, television or a NOAA weather radio. Willard Fire & Rescue works with the National Weather Service to provide you with as much information possible to prepare you in the event of adverse weather conditions. ​When a severe thunderstorm warning is issued, you should take shelter immediately. Remember that thunderstorms can produce a tornado with little or no warning. If your house is struck by lightning, call the fire department and, if possible, have them check for hot spots in the walls with thermal imaging equipment. If you see fire or smell smoke, get out and call 9-1-1.